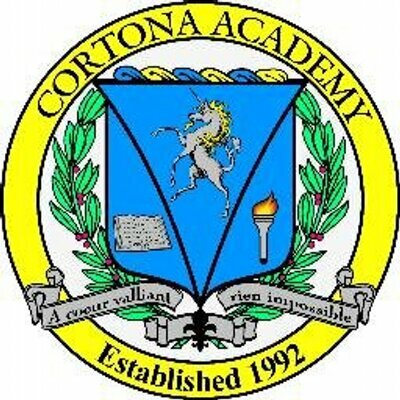 This year Cortona Academy ventured once again into the land of indoor farming. Every few years we set out to incubate and hatch 24 fertilized chicken eggs. The eggs incubated in their automatic, humidity and temperature controlled incubator for 21 days. 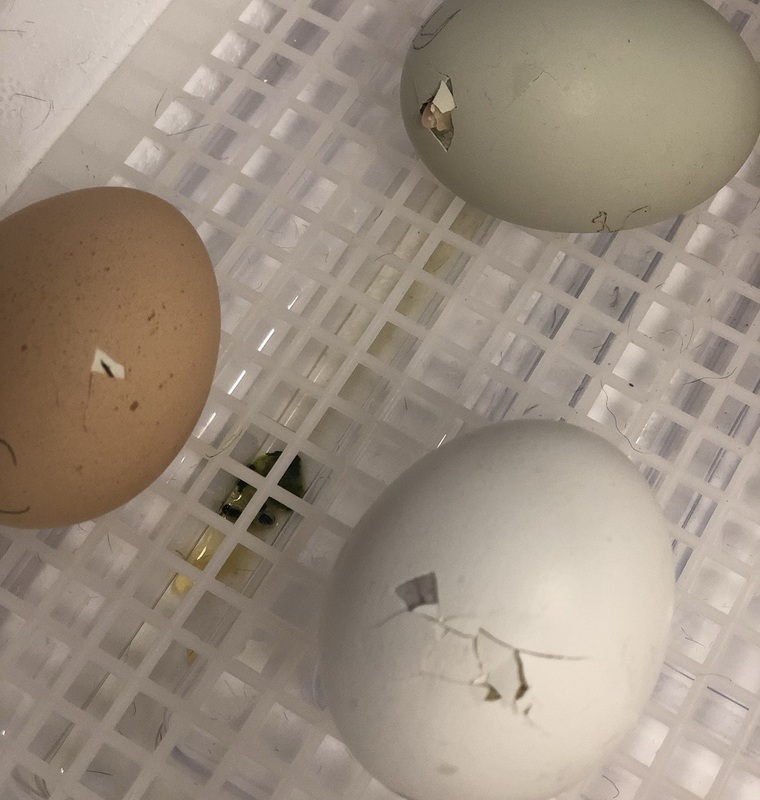 With the students watching, the chicks began to pip from their eggs. They made a tiny hole in the outer layer of their shells, which is very exhausting for them and can take almost 24 hours to complete. Within a day the chicks had begun to make a break in their shells the whole way around one of the ends, eventually pushing themselves free. 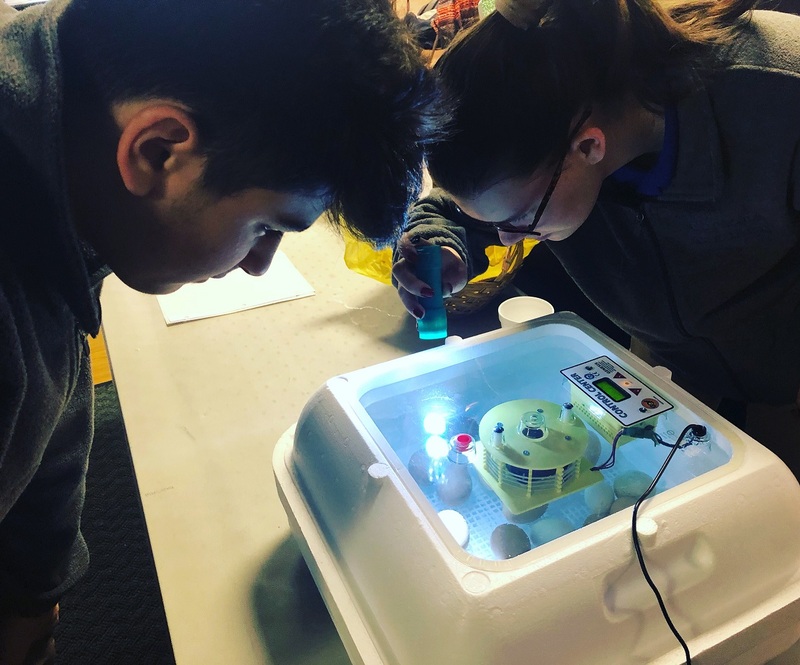 Even though the students were very excited they learned that the babies needed to dry off a bit in the incubator before moving them to their new home. 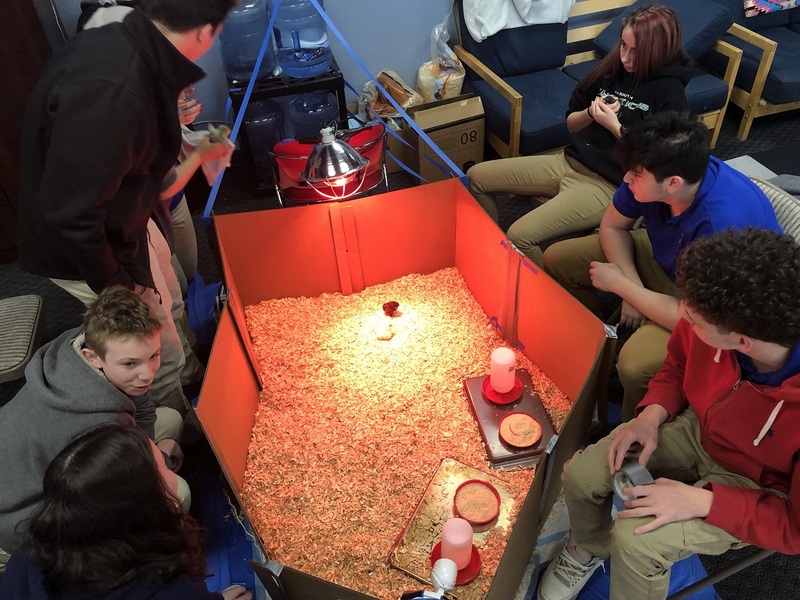 As soon as they were able to be moved, the students took over the care of the chicks. They helped hand raise them, teaching them to first drink water, and then to eat. In these early days, the chicks loved being held and cuddled, a task the students were very happy to complete. 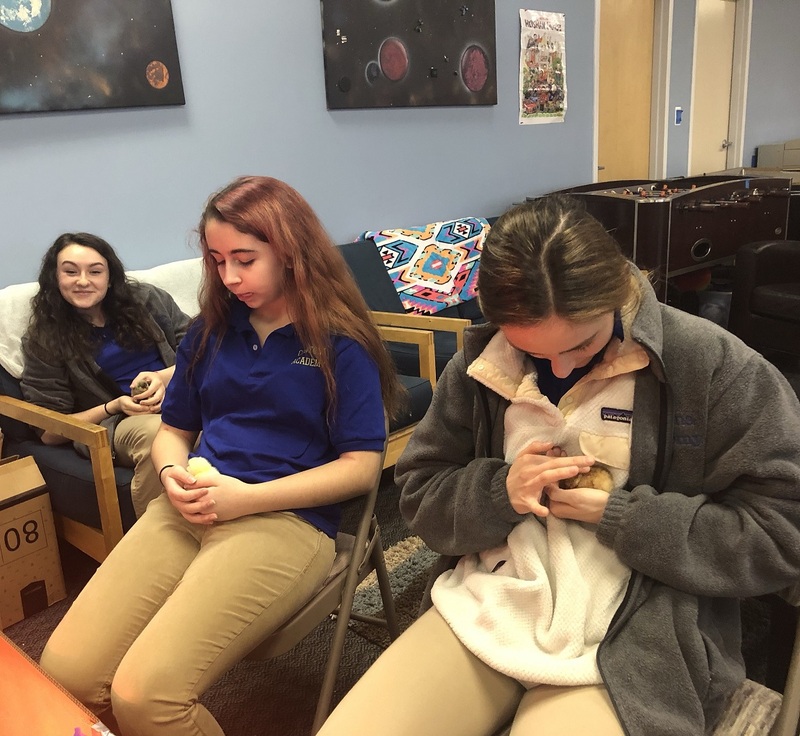 We found that the chicks became “therapy animals,” with every student taking special care to be quiet and focus when the chicks were around. We even found a few students smuggling chicks to class in their uniform jackets. The students learned how to keep the chicken enclosure clean, mastering proper care and cleaning techniques. Along with Cortona’s psychology students, everyone spent a lot of time focusing on the different stages of personality development of the babies. The students paid special attention to how “flock mentality“ influences how the birds behave with each other. An example of this was Buck, our alpha male chick. After three weeks with Cortona Academy, it was time for the chicks to go to their new home on a local farm. While it was hard for the students to say goodbye, we made sure to take a lot of pictures so the babies will be remembered. Another successful year of baby chicks is in Cortona’s memory book.